Greece’s creditors should opt for promising solutions, including that of GDP-linked bonds. There is no reason to brush this proposal aside only because it was tabled by the Greek authorities, write Stephany Griffith-Jones and Inge Kaul. Stephany Griffith-Jones is Financial Markets Director at Columbia University and Member of the FEPS Scientific Council. Inge Kaul is adjunct professor at the Hertie School of Governance in Berlin. There is an urgent need to reach a solution of the Greek debt problem that is effective and beneficial for Greece, its Eurozone creditors, as well as for the whole European and global economy. Fortunately, such a solution exists and is gaining support. It is the proposal that suggests transforming the debt that Greece owes to Eurozone governments into GDP-linked bonds. Such bonds would link servicing of interest payments to the growth of the Greek economy. They would not reduce the total value of the debt for the creditors and, thus, satisfy the creditors’ key demand: no debt reduction for Greece. But what GDP-indexed bonds would do is reduce debt servicing in the short term for Greece, whilst its economy is on a recovery path and not yet growing sufficiently. 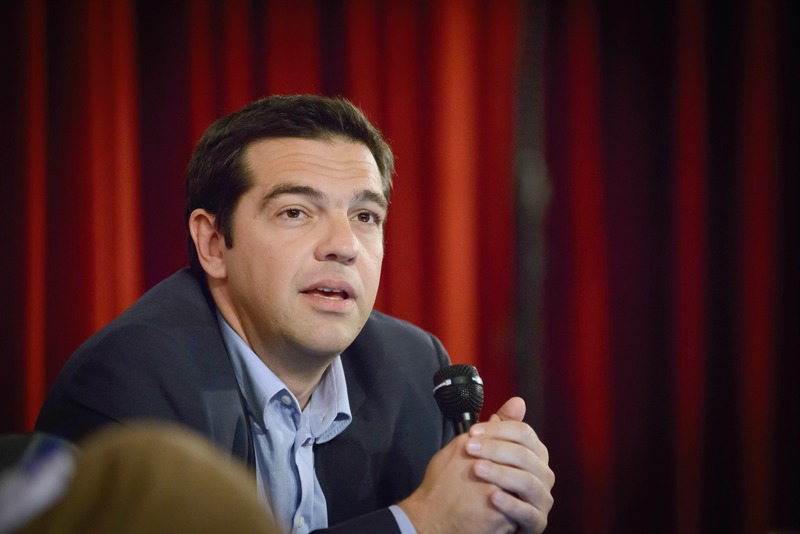 Granting Greece such a breathing space would be good for its economy and for its creditors. Giving growth a chance to pick up again would strengthen Greece’s capacity to meet its debt obligations in the future and lower, if not altogether remove the risk that taxpayers in the Eurozone countries may ultimately have to pay for Greece’s debt burden. Of course, the details of such an arrangement need to be worked out between the creditors and Greece. However, it could be the case that Greece would not service any of this debt for the next five years, unless its GDP recovered at least half the loss of GDP it has suffered since the Eurozone started. If it did recover half the lost growth, and grew above 3%, then it would pay a small proportion of its growth in interest payments. The grace period would allow Greece to have some additional fiscal space for restoring spending on key sectors like health and education, fostering governance reforms, increasing productive public investment and creating a conducive policy environment for private investment, including by small- and medium-scale enterprises. Increased investment could be also financed by institutions like the European Investment Bank, and by foreign private investors, both from Europe, but also from the US, China and other countries. After five years, assuming growth has picked up, the Greek economy would service the debt in proportion to its growth. This would allow it to follow a counter-cyclical fiscal policy that would smooth out potential growth fluctuations and facilitate debt servicing. All this is not to say that Greece should totally abandon fitting advice that it has received in previous years, such as on increasing tax revenues, especially on richer individuals and large companies, where there is tax evasion or insufficient taxation. Whether Troika advice or not if it works for the Greek economy and people, then just do it. But, in the same non-ideological and pragmatic way, Greece’s creditors should opt for promising solutions, including that of GDP-linked bonds. There is no reason to brush this proposal aside only because it was tabled by the Greek authorities,notably by Yanis Varoufakis, the Greek Minister of Finance. The proposal has met with strong support, including from the German Institute for Economic Research (DIW) in Berlin, which published a systematic analysis, concluding that there are strong reasons that speak for this approach and by more general papers in favor of GDP linked bonds by the International Monetary Fund and the Bank of England. Furthermore, some, one could even say, many of the world’s most renowned economists-such as Nobel Prize winners Joseph Stiglitz, Robert Shiller and Chris Pissarides, but also many others- have urged the European governments concerned to seriously consider steps along these lines. So, why not act on this proposal in the forthcoming meetings of the Eurozone finance ministers? Importantly, a more general lesson to draw from the Greek debt crisis is that, in the future governments should, in good times, consider issuing their debt in a way that links debt service to the growth of their economy – in the form of GDP-linked bonds. This would make future disruptive and costly crises far less likely.